Ten PSL teams will be involved in this weekend’s action as Orlando Pirates and Mamelodi Sundowns take care of their continental commitments. 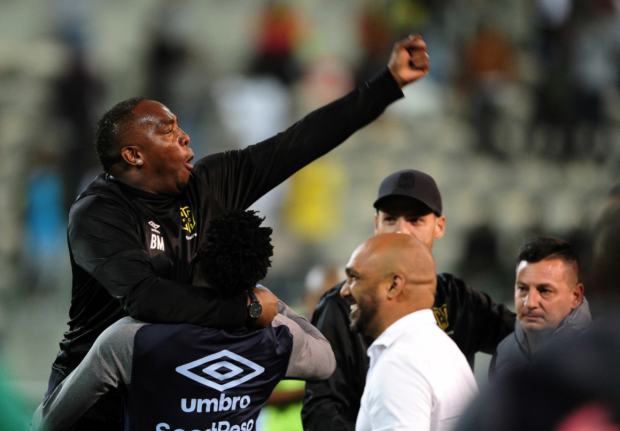 That gives Cape Town City and Bidvest Wits a chance to close in on the top spot with victories in their respective encounters, while a resurgent SuperSport United host Kaizer Chiefs in a crucial clash. Chiefs want to make up ground on the front runners while Matsatsantsa seek to remain in the title race. This is game between two off-form teams who have failed to win any of their recent four games. Celtic come into this one with a record of three draws and one win while the visitors have lost three and drawn one of their last four encounters. Bidvest Wits captain Thulani Hlatshwayo was sent off in the 2-0 defeat to AmaZulu and won’t be available for selection but I expect Vuyo Mere to play right back with the centre-back pairing of Buhle Mkhwanazi and Robyn Johannes remaining intact. This match is likely to end in a draw. Cape Town City have displayed a great deal of fighting spirit in the last two games, coming back from 2-0 down to beat Wits 3-2 and overturning a 1-0 scoreline to beat Mamelodi Sundowns 2-1. Managing those results against the last two league champions is remarkable and a win here could see them top the standings. Kermit Erasmus has scored four goals since gaining regular game time and newly-signed Chris David crowned his debut with a winner against Sundowns. Polokwane City are unbeaten in the last five league games and they currently lie sixth on the log. The momentum is with Cape Town City and I’m backing them. SuperSport United have won four of their last five league games and you must remember that last week, I mentioned Mxolisi Macuphu, who’s in superb scoring form. He did deliver against Free State Stars as his solitary goal handed Matsatsantsa a 1-0 victory. Kaizer Chiefs are unbeaten in the last four league games and they will be looking to make it three wins in a row against Kaitano Tembo’s men. Bruce Bvuma kept a clean sheet in his first league appearance between the sticks for Amakhosi and 19-year old Nkosingiphile Ngcobo made his debut in the second half replacing Khama Billiat. This will be a tightly-contested encounter and I foresee a share of the spoils. Free State Stars are just one spot above the relegation zone and they head into this encounter off the back of a three-match winless run. AmaZulu returned to winning ways last week when they beat title-chasing Wits 2-0 at King Zwelithini Stadium. Usuthu currently lie 11th on the standings and a victory would see them getting closer to their top eight target. My money is on the visitors. Chippa United’s three-match winless run has seen them drop deeper into the relegation zone and they should start collecting points if they are to survive. Last week, they let slip a 2-0 lead to lose 3-2 to Black Leopards at Thohoyandou Stadium. By contrast, Highlands Park came back from a goal down to beat Baroka 1-0 in a cracking encounter last week. I think Chippa are hungrier and they will collect maximum points.